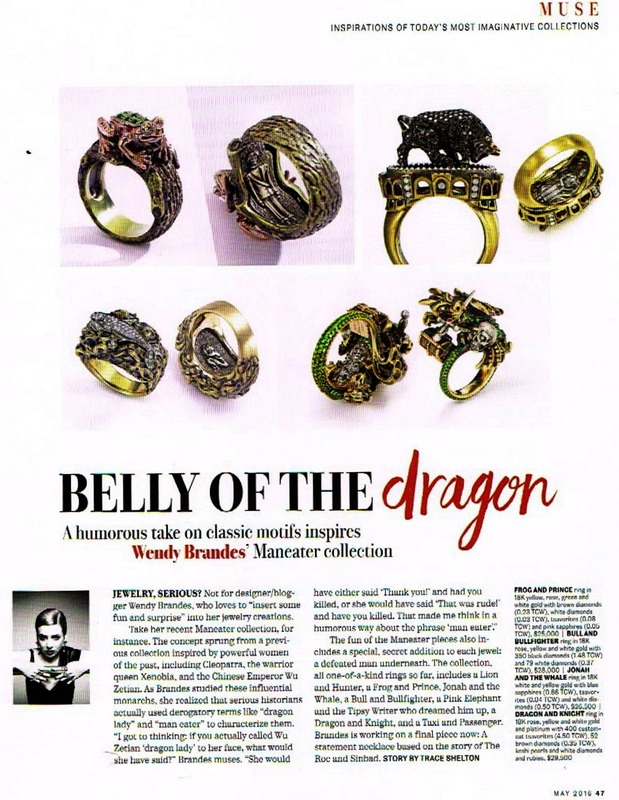 The gorgeous Trace Shelton of InDesign Magazine followed up April’s “Five Questions” online interview with me by featuring my Maneater jewelry designs in this month’s print edition. If you’re in the jewelry business and are attending the upcoming JCK LUXURY trade in Las Vegas, you can see these pieces in person. You’ll also be able to experience them in another way at the same time, because they’re part of a “Store of the Future” virtual reality experience presented by CEEK VR and Richline. It’s going to be very cool! Email me at info at wendybrandes dot com to set up an appointment.